Grand mal seizure, also called tonic-clonic seizure is caused when there is an abnormal electrical activity in the brain. It results in loss of consciousness and severe muscle contraction. Grand mal seizures can happen to people of all ages. Children are also affected by it. A child under such seizure would suddenly lose consciousness with severe trembling of the body. What happens in such a case is the brain signal that regulates muscular activities goes haywire. This results in muscle contraction. It can also be caused by low calcium and magnesium level in the body, which affects the working of brain cells. Children who have meningitis that leads to inflammation of brain’s outer membrane can also be affected by grand mal seizure. Strokes and tumors could also cause this. There are a few treatment options of grand mal seizures in children. A person, no matter of what age, who has been seized by grand mal seizure should never be stopped from shaking or trembling. Doctors have called such an act as unsafe for the patient. The child or the adult should be assisted to floor with on the left or the right side. Do not put any items in his mouth. Only take care to remove the saliva or mucous that can cause choking. The foremost treatment option for grand mal seizure in children is the medication therapy. 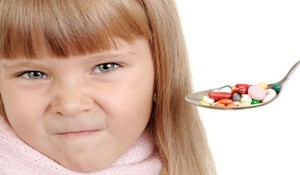 Anti-epileptic drugs (AED) are prescribed. A low dose is initially recommended. Its level is adjusted according to the result. The dose is then decreased gradually as the symptoms get under control and desired toxicity is reached. There are surgical options to treat it too. First is the area of the brain that is responsible for the seizure is identified and removed. 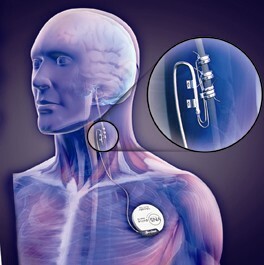 The latest is vagus nerve stimulation (VNS). A tiny device that almost looks like a pacemaker is implanted surgically in the chest. It has wires that reach the vagal nerve at the base of the brain. Whenever the device senses any abnormal electrical activity in the brain it sends impulses to normalize it. Are The Treatment Options Free Of Risks? AEDs do not seem to be successful in 30 % patients of grand mal seizure. In children it has been found to be causing certain side effects like nausea, ache in the abdomen, giddiness, drowsiness, tetchiness, mood swings and anxiety. These are not serious but see a doctor who might decrease the dosage or do something else that is needful. Very rarely it can lead to rash, problems in blood and liver, behavioral disturbances and no control on seizure. Less common ones are abrupt weight change, panting, vomiting, sleepiness and irritability. Swallowing problems and choking hazard have also been reported in some children. A significant risk is that of device damage. Cessation of heat beat although reported in adults has not been found in children. I hope this article on treatment options of grand mal seizure in children was useful and wish that all parents will find a cure for their children ailing of this seizure. What Happens When Seizures Are Not Easily Controlled? Why are Children with Petit Mal “Absent”?